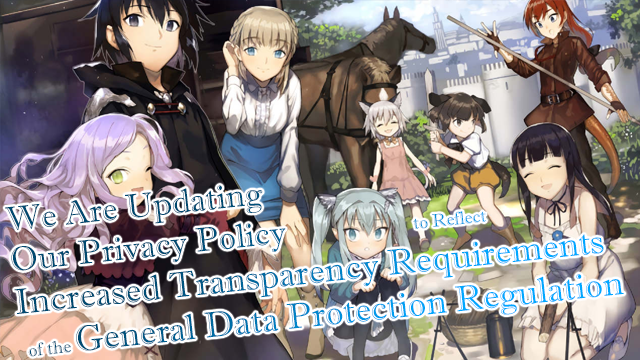 The story follows a young man who plays a popular fantasy massive online multiplayer role playing game, but after his personal information is leaked alongside millions of other players, he uninstalls the game. The next day, he wakes up in the world inside the virtual realm of the fantasy RPG and is suddenly tasked with finding everyone’s stolen data, which is held by an evil wizard. Along the way, he discovers his newfound magic powers and meets really pretty girls who want to bang him. To read more about the light novel, please send us your name, email, phone number, and a profile of your internet browsing habits. No, no, guys, this is actually good isekai. Trust me. I don’t know. The art already reminds me somewhat of another isekai…..whatsitcalled….erm right death march Kara something something japanese words. Honestly though I’ve not read it and this impression is based only on the art but still…I’ve read many isekai wn ln and this is the first time I’ve seen this title. Ah damn it, this actually came up in my Google news feed as legitimate news! Had me fooled for a bit when I tried to look up the release date on Yen Press’s website. Can I Have the link (no problem link to yen press)? Is it really death march ? I’ve watched the anime and plan to read the LNs at some point. It’s from Death March. No matter how long or short the title are, if its harem themed its still as bad as any other series of the same genre. There’s not even a single difference between em. That’s for sure.